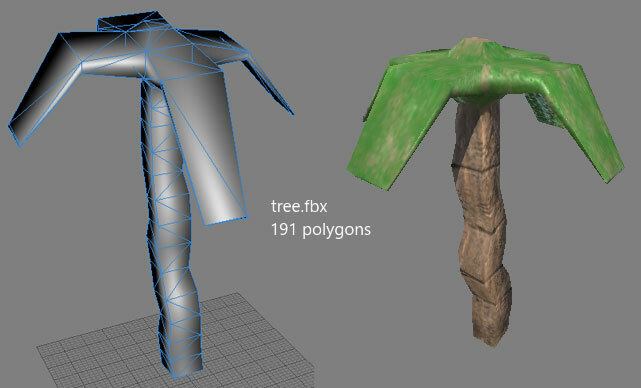 Part of my Ludum Dare 36 entry, a simple low poly palm tree model. Made in Blender, includes PBR ready 512px albedo, smooth and normal textures. In .FBX format for ease of use. This is listed under the CC-BY licence, but if you are actually using these for any game related purpose you do not /have/ to credit me (although it would be polite). You are also free to rework and remix these however you see fit. If you are bundling these up as part of an asset pack for sale however, you *must* credit me and provide a link to them on Open Game Art, as well as make clear that these assets are originally available for free.